Celebrate a Silver Wedding Anniversary in style with these pretty balloons, part of the Vintage Romance collection. 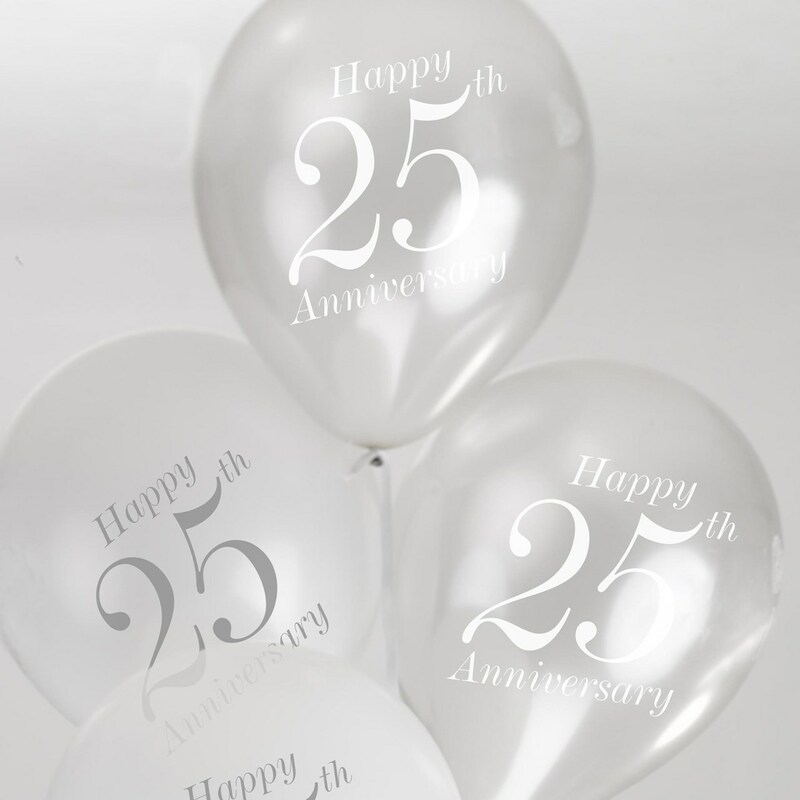 Each pack contains 8 balloons in a mix of 4 each silver and white, featuring the message ‘Happy 25th Anniversary’. Balloons are quick and easy to blow up and a great way to jazz up your party venue, they can be used alone or co-ordinated with other decorative items from the Vintage Romance Range or from our Party Range.